Over the last half-decade or so, I’ve built up a small collection of a handful of ukuleles, including my favourite built from an old cigar box. I’ve never known much about the history or development of the instrument, however, so was happy to grab The Ukulele Handbook from the review pile and give it a read. Ultimately, it was both a good read and a frustrating one, leaving me wanting to know a whole lot more. The book declares itself an introduction to the topic and this it achieves. It never makes claims to anything more and for the reason is successful. As well as a historical overview of the instrument and the music most commonly associated with it, it includes a six week teach yourself to play course, which cover the basics in an easily understandable and usable manner. The first section, covering the history, is a brisk walk through 150 odd years of the instrument’s development. From its introduction to the Hawaiian islands from the Portugese controlled island of Madeira in 1879 (as the machete, though it was quickly adapted, evolving into the native ukulele) to its current near hipster renaissance, there isn’t a lot of space for deeply critical analysis. The sheer racism involved at most points in the story is astounding. The authors point to this via some choice quotes which they leave to hang enticingly, not engaging in the debates in a deliberate manner. The imperialism that resulted in Hawaii’s annexation by the U.S., for example – a bloodless coup which the U.S. president himself declared illegal a year later, but didn’t bother to reverse – is passed over in the space of a paragraph before heading into discussion of the commercial impetus of the spread of the instrument. Hawaii was, of course, seen as a sort of idyll, an ‘other’ for jaded westerners to turn to. The ukulele’s introduction to the mainland U.S. is welcomed by the “fashionable …younger crowd searching for authenticity amid their urban alienation”. And so the instrument’s place as kitsch (though not at first) escapism (from the outset) is ingrained. It passes through a popularity peak, along with traditional Hawaiian music, through the 20s before fading into novelty obscurity. A 1950s renaissance follows, fuelled by the production of cheap plastics, which does little to help the instrument or its culture be viewed as more than child’s play. A more recent renaissance has seen the ukulele become more accepted as a serious instrument. The authors stick to the mainstream, though, citing the ‘Hendrix of the uke’, Jake Shimabukuro as the pinnacle of what’s possible with the instrument, even though they concede his choice of material leaves a great deal to be desired. Along with a discussion of Israel Kamakawiwo’ole, these examples do little to expand the scope of the instrument beyond its perceived novelty. Which seems, to me, to undermine much of what the authors would probably be hoping to achieve. Mention of some of the even slightly more out there corners of its use – tUnE-yArDs or Micachu for example – would surely open up the scope to inspire more thoughtful exploration of the instrument’s possibilities. But then, that’s probably not really the aim of the book. The next section, the 6 week teach yourself course, is for those with basically no musical knowledge at all. Clearly, the book is aimed at the entry level and, for this reason, can’t really be faulted. 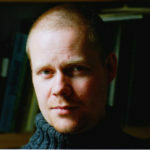 For me, however, armed with fairly good musical knowledge, passable ukulele skills and a desire to find out about some of the exciting areas that have been explored recently, or some depth to the intrigue surrounding its growth and marginalisation cycles over a decade and a half, the book felt cursory and unsatisfying. The text could be read comfortably in a few hours and the skills, of course, learned in 6 weeks. Ultimately, I’m a bit torn. 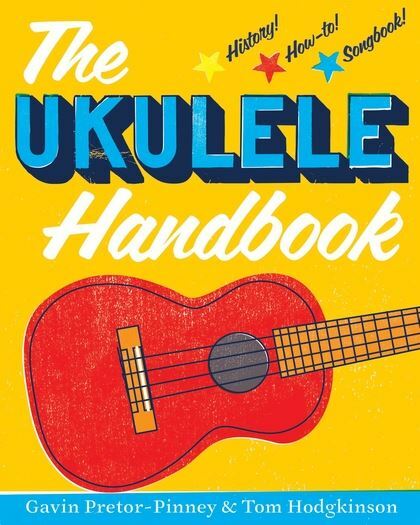 I don’t think its fair to criticise The Ukulele Handbook for aiming at an introductory audience or for failing to meet criteria that it clearly never set itself. It does succeed very well as an introduction. But it left me wishing for much, much more.